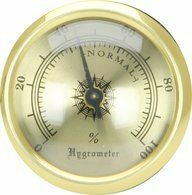 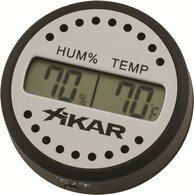 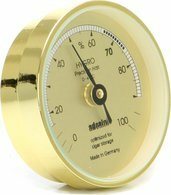 The quality of hygrometers for humidors can vary enormously. 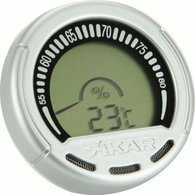 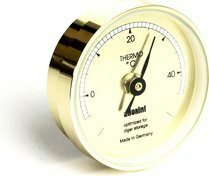 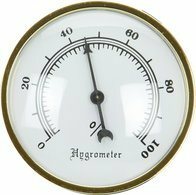 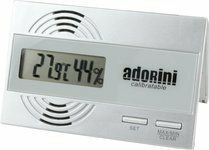 A good hygrometer should be able to be recalibrated since both analogue and digital hygrometers may need to be reset at some point, after years of use or if they are shaken up during transportation. 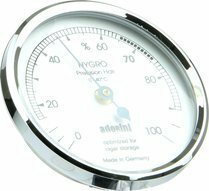 We recommend analogue hair hygrometers which measure humidity based on the extension of a synthetic hair. 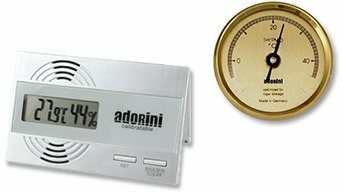 These models are more accurate than standard hygrometers which use a metal spring.